Andrea Carlson: The Tempest (2008). Ink, oil, acrylic, crayon, gouache, coloured pencil and graphite on paper, 243.8 x 304.8 cm. All images courtesy of the artist. Andrea Carlson: Eaten Alive! (2010). Ink, oil, acrylic, crayon, gouache, coloured pencil and graphite on paper, 111.8 x 152.4 cm. Andrea Carlson: Ink Babel (2014). Ink and oil on paper, 304.8 x 457.2 cm. Eat-All is Minneapolis-based Andrea Carlson’s first solo exhibition in Canada, guest curated for Plug In ICA by Jenny Western. 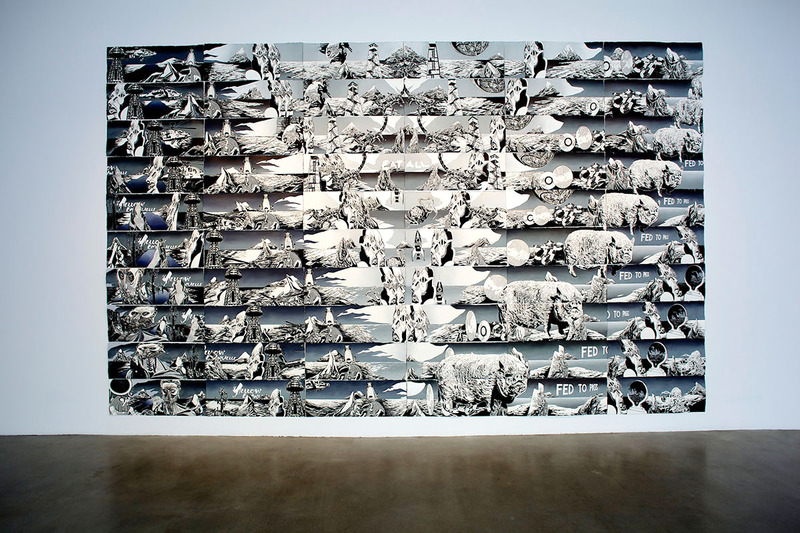 At its core is a new, monumental sixty-panel drawing titled Ink Babel (2014) shown alongside pieces from an earlier series, VORE, and two video works. Carlson’s practice takes up the metaphor of cannibalism to investigate the ways in which objects are swept up into a flux of cultural appropriation. The forces explored by Carlson, as they weave their way through Eat-All, are self-annihilating, relentless and immensely complex. 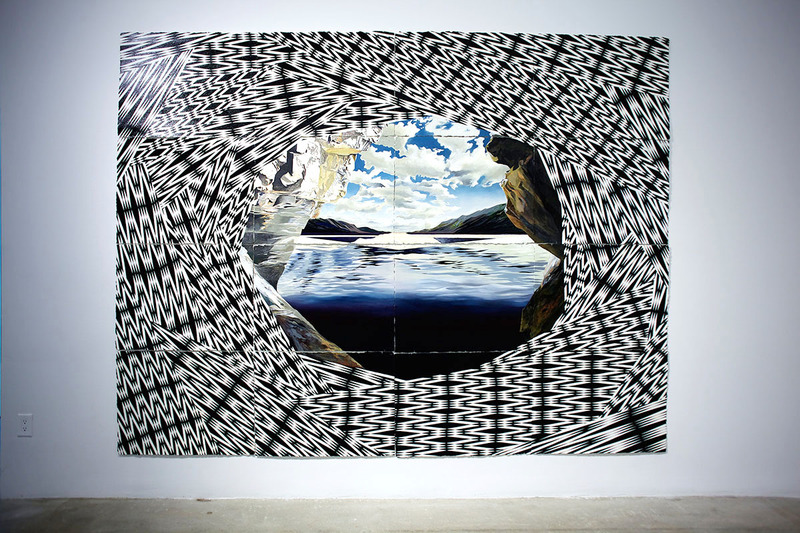 Carlson embraces drawing as a medium − the texture of heavy paper, materiality of its thickness and slight warps, the razor sharp edges of paint in her collage aesthetic, and all the associations with storyboarding, hand-painted posters and masterful draftsmanship that at first can appear out of place in the gallery’s white cube. However, the flux into which Carlson sends her drawings is also part of the overall movement of references between the works in the exhibition. Museum artefacts, heavy machinery, animals and deities all morph and devour themselves in compositions held together with disorienting moiré patterns and abstract graphic elements. Set within a B-film poster aesthetic, albeit deconstructed, the unsuspecting objects appear pulled irreversibly into the current of cultural exchange that Carlson interrogates. Four drawings from Carlson’s series VORE tease out the connections between objects, narrative construction and power. 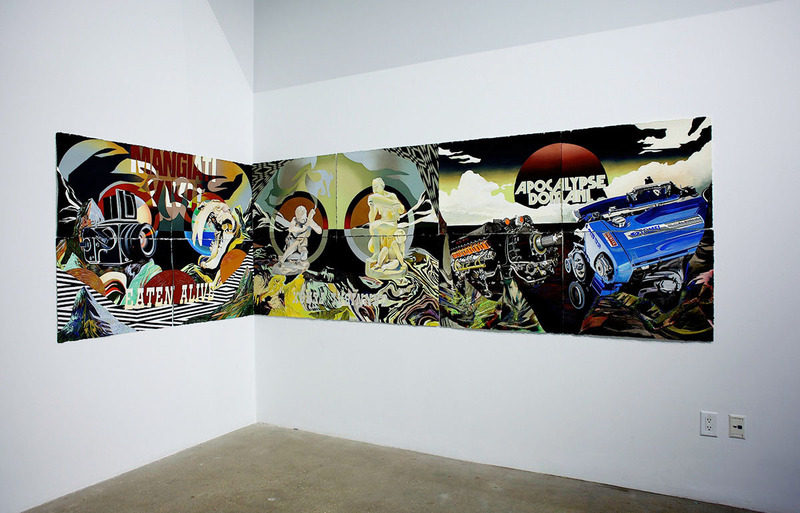 References to Carlson’s Ojibwe-French-Scandinavian heritage are scattered among the compositions that combine museum artefacts, heavy machinery and abstract patterns with titles of exploitation films fading in and out of view: Eaten Alive, Cannibal Ferox, Apocalypse Domani. 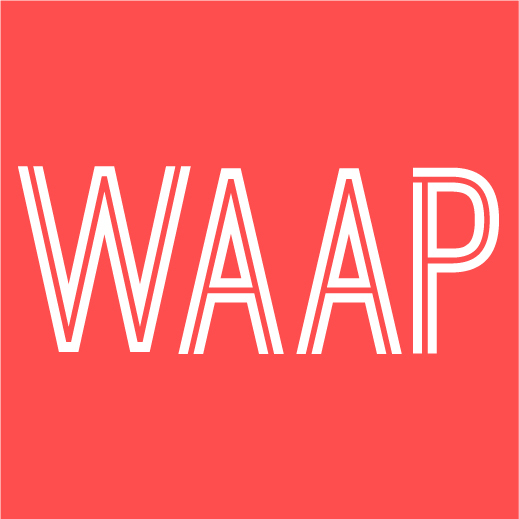 Placed into the same realm as museum objects, the films’ plots of cannibalism, cultural exoticism and desire echo the methods through which museums absorb, digest and re-present culture. As the name suggests, the piece is about cannibalism; the act of self-consumption becomes a metaphor for issues of cultural appropriation and assimilation, entangled with fantasy and desire. Set in a room by itself, Ink Babel is Carlson’s most ambitious drawing both in formal and conceptual terms. The piece took a year to complete, and makes me wonder if the scope of its monumental undertaking was at least partially responsible for its title − a challenge to convey, in the most direct and yet ambiguous way, the complexity of the intertwining forces of international trade, colonization, cultural cannibalism, communication and museum objects against the backdrop of a seemingly calm ocean horizon. The piece embraces and narrates the failure of maintaining its own universal language. Instead, it folds over and around its edges, with objects and their cultural traditions constantly resisting attempts at containment. The structure of repetition in Ink Babel simulates film sequencing, as Carlson leads the viewer to take up the position of the camera’s viewfinder. Zooming outwards, Ink Babel is a deep V, with words “Eat All” at its centre. Coming closer, it is a series of panels that appear as if they might be animated. Moving left to right, the narrative builds as weightless elements glide into view: scorpions, snakes, cell phone towers, crabs, Egyptian gods, to name just a few. They pivot and morph from frame to frame, so that their movement from left to right, down and up the forked V, is always also a movement back and forth to reconstruct how they have shifted.